Copyright: © 2016 Aziz M, et al. This is an open-access article distributed under the terms of the Creative Commons Attribution License, which permits unrestricted use, distribution, and reproduction in any medium, provided the original author and source are credited. We will review the interaction of traditional risk factors (dyslipidemia, obesity, insulin resistance, diabetes, hypertension, cigarette smoking and physical inactivity), inflammation, DMARDs in cardiovascular diseases in Rheumatoid Arthritis (RA) patients. We present a hypothetical patient, a 60 year old man with hypertension, T2DM, and seropositive erosive RA diagnosed for 10 years. He had TG 250 mg/dl, HDL 47 mg/dl and LDL of 150 mg/dl. He is an active smoker. This diagnosed RA patient has traditional cardiovascular risk factors. In this case lot of risk factors interplay and are responsible for cardiovascular outcome in RA patients . We would discuss the interplay of traditional cardiovascular risk factors, inflammation and treatments for RA and would also consider the current methods of cardiovascular risk stratification. We would conclude by discussing current strategies for estimating CV risk . Raised LDL infiltrates the endothelial layer and gets oxidized in subendothelial space leading to the formation of fatty streak, eventually develop to fibrous plaques. Plaqueruptue causes thrombosis leading to blockage of the arteries leading to terminal events i.e. MI, sudden death . van Halm et al. , did a cross sectional study and the study concluded, patients who later develop rheumatoid arthritis have a considerably more atherogenic lipid profile than matched blood donors at least 10 years before onset of symptoms. As inflammation only marginally explains the differences between the two groups, a modulating effect of lipids on inflammatory processes is hypothesised . MTX does not have any effect on the lipid profile of RA, Westlake et al. , suggested that Methotrexate (MTX) use is associated with a reduced risk of CVD events in patients with RA. This may be important early in the disease course. The mechanism for this possible benefit cannot be fully determined from the current literature but, is likely to be multi-factorial. As disease control continues to improve in RA, future studies need to address the impact of MTX and other DMARDs or biologics on CVD, which remains the leading cause of death and a significant comorbidity in these patients. It is unlikely that a randomized controlled trial designed to determine the impact of MTX on CVD should be conducted [7-11]. However, all future studies assessing the efficacy of new or currently used DMARDs or biologics could collect data on CVD and risk factors for CVD. Furthermore, studies assessing the impact of MTX on pre-clinical atherosclerosis would also be helpful. TNF blockade has no effect on LDL but elevated TC and HDL 5, Pollono et al. [5-12] conducted a systematic review of the literature to summarize the available evidence on lipid profile modification in patients with RA treated with TNF-alpha antagonists, with extensive searches in PubMed, the Cochrane Collaboration database (Central), and SCOPUS. No major changes were observed for ApoB/ApoA1 ratios. A small trend to increased TC was observed in patients receiving TNF-alpha antagonists, mostly due to an increase in HDL. There was a small trend to increased TG, and no changes in ApoB/ApoA1 ratio. The clinical impact of these findings is unclear, and further studies are needed to clarify the role of these lipid changes on cardiovascular morbidity in RA [13-18]. Hydroxycholoroquine has favourable atherogenic profile in RA. Tocilizumab, has an adverse effect on lipid profile on RA patients . Inflammation and inflammatory mediators affect lipid profile in RA. Disease activity levels in RA affect lipid parameters. Choi et al. study showed abnormal lipid profile in untreated RA patients as compared to the controls [20-25]. These national survey data indicate that RA not treated with DMARD or glucocorticoids is associated with adverse lipid profiles characterized by lower HDL-C and apolipoprotein A-I levels in persons aged > or =60 years [26-35]. As compared to the general population, RA patients have increased morbidity and mortality. Cardiovascular mortality is higher in RA patients as compared to general population [36-39]. Amongst the causes of death in RA patients, CVD is the MCC of death in RA patients [1,4-9]. Incidences of MI are higher in RA as compared to the control group [40-46]. Possible CVD outcomes in RA patients are MI, silent IHD, sudden death, heart failure. Traditional risk factors contribute to mortality in RA patients but to a certain extent, they do not completely explain the cause of mortality in RA [47-50]. High systemic inflammatory burden in RA patients plays key role in increased CV risk [37-51]. The high inflammatory burden is linked to atherosclerosis. Systemic inflammation itself changes the traditional risk factors role. Excessive inflammation is responsible for lipid paradox in RA. A correlation has been established between cholesterol and CVD outcomes in untreated RA patients [52,53]. Suppression of inflammation in RA patients leads to favourable lipid profile and reduction in CVD outcomes [53-56]. EULAR recommendations highlight the importance of early treatment in RA patients leads to favourable lipid profile by subsiding inflammation. Annual CV risk assessments are recommended for RA patients with repeat assessment on change of line of treatment . There is increased risk of CVD outcomes in inflammatory arthritis patients. Inflammation has now been proved to be a risk factor for CVD outcomes and it has also been well established subsiding inflammation decreases CV risk in RA [29-33]. Systemic inflammation associated with RA disease activity increases CV events in RA patients. EULAR recommends the multiplier of 1.5 for RA patients who meet 2 of 3 criteria- 1) Disease duration >10 years; 2) RF/anti CCP positivity; 3) Presence of Extra articular manifestation. But in spite of applying this, there is a substantial portion of population that still remains unidentified [57-65]. Role of inflammation has been suggested in pathogenesis of atherosclerosis in RA patients [66-68]. CRP, fibrinogen and cytokines play role in mediating this process [69-72]. Pro inflammatory molecules, cytokines, endothelial dysfunction, dyslipidaemia, insulin resistance and oxidative stress play vital role in CVD in RA .Many studies have correlated inflammatory burden ESR and CVD risk [73-80]. Inflammation contributes in all stages of atherosclerosis [7,20,41]. The mechanisms that play role in synovial inflammation are same in atherosclerosis plaque formation [39,70]. TNF, IL-6 and IL-1 associated with RA, play central role in atherosclerosis [81-83] CRP, is an independent predictor of CVD risk. Higher IL-6 levels are associated with acute coronary syndromes . CRP mediates uptake of LDL by macrophages and formation of foam cells and eventually plaque formation [85-86]. Traditional risk factors and disease activity both have effect on lipid profiles in RA patients. Inflammatory mediators cause both qualitative and quantitative changes in lipoproteins . The protective action of HDL is impaired in RA and eventually leads to CVD events. Both qualitative and quantitative changes in lipoprotein should be assessed in RA patients. McCarey et al. showed that statins can mediate modest but clinically apparent anti-inflammatory effects with modification of vascular risk factors in the context of high grade autoimmune inflammation. 6 months statin therapy in RA, demonstrated favourable lipid profile, decrease in disease activity and reduced inflammatory mediators. These findings show use of statins in RA improve CV risk through both lipid lowering and anti-inflammatory effect. Homeostatic model assessment (HOMA) calculation examined the relationship between IR and inflammation in RA. The study showed direct relationship between IR and grade of inflammation . Parameters considered in this study were CRP, ESR and waist circumference. Parameters considered were CRP, IL-6, TNF-ALPHA 40% association was shown between RA and DM . TNF blockade, no reduction in IR in 6 months; Kiortsis et al. . The results suggest that infliximab treatment may have beneficial effects on insulin sensitivity in the most insulin resistant patients with RA and AS. Adalimumab, no reduction in IR in 6 months, Rosenvinge et al. RA patients with active disease showed marked insulin resistance that was not influenced by anti-TNFalpha therapy despite a reduction in systemic inflammation during the treatment. IR improved with infliximab treatment Tam et al., after infliximab treatment, insulin resistance improved as reflected by the significant reduction in the Homeostasis Model Assessment Index. Total cholesterol, HDL-cholesterol, LDL-cholesterol, triglycerides, and apolipoprotein B (apoB) levels all increased significantly from baseline. Nonetheless, the atherogenic index, LDL-cholesterol/HDL-cholesterol ratio, and the LDL/apoB ratio remained unchanged. Infliximab improves insulin sensitivity and alters lipid profile in patients with active RA. Tocilizumab, drop in IR, Schultz et al. showed inhibition of IL-6 signalling improves insulin sensitivity in humans with immunological disease suggesting that elevated IL-6 levels in type 2 diabetic subjects might be causally involved in the pathogenesis of insulin resistance. Furthermore, data indicated that inhibition of IL-6 signalling decreases Lp (a) serum levels, which might reduce the cardiovascular risk of human subjects. MTX, decrease in IR, Dessein et al. , Methotrexate use in RA may improve CVD risk through a marked suppression of the acute phase response. Dietary intervention prevented the increase in total and low-density lipoprotein cholesterol upon acute phase response suppression. TNF alpha blockers, HCQ, found reduced risk of DM in RA, Wasko et al. among patients with rheumatoid arthritis, use of hydroxychloroquine is associated with a reduced risk of diabetes. According to WHO, individuals with a BMI >30 KG/m2 are considered obese . Arthritis patients have a higher BMI as compared to the general population [1,3,54]. Obesity was proved as a significant CV risk factor in RA as in controls . With the use of bioelectrical impedance studies, characterization of actual body fat composition was done and it showed RA patients have more body fat for a given BMI as the healthy controls . Stavropoulos et al. showed in individuals with RA, BMI cut-off points should be reduced by 2 kg/m2 (that is, to 23 kg/m2 for overweight and 28 kg/m2 for obesity). The equation developed can be used to accurately predict BF from BMI in RA patients. These findings may be important in the context of the cardiovascular comorbidity of RA. Giles et al. showed using abdominal CT scans that male RA have more visceral fat and female RA patients had more subcutaneous fat than controls for similar BMI and waist circumference. These studies showed BMI is the underestimation of CVD risk in RA. They found higher VFA in men with RA, and the more potent association of VFA with cardiometabolic risk factors in men and women with RA, which may contribute to cardiovascular risk in RA populations. Raised BMI is associated with elevated CRP 21 and raised IL-6 and adiponectin [18-20] which in turn is associated with raised CVD risk [22-24]. McEntegart et al. found hypertension in RA . The study showed in RA patient population, diastolic blood pressure was higher than in controls and thrombotic variables were elevated compared with controls. These features are identified as potential additional cardiovascular risk factors in the RA patients studied. Prospective studies of risk modification may permit the identification of factors which could lead to a reduction in the known increased cardiovascular risk in RA. Maki-Petaja et al. found arterial stiffness in RA . This study demonstrates that both ezetimibe and simvastatin reduce disease activity and inflammatory markers to a similar extent in patients with RA. Therapy is also associated with a concomitant reduction in aortic PWV and improvement in endothelial function. This suggests that cholesterol lowering per se has anti-inflammatory effects and improves vascular function in RA. NSAIDS, Glucocorticoids raise BP [27-28]. Mazzantini et al. showed the prevalence, demographic and health characteristics with arthritis in southern Brazil were similar to other parts of Brazil and other developed countries. Cigarette smoking is the strongest risk factor for RA. Costenbader KH,  showed in the large cohort, past and current cigarette smoking were related to the development of RA, in particular seropositive RA. Both smoking intensity and duration were directly related to risk, with prolonged increased risk after cessation. Cigarette smoking is the biggest modifiable risk factor for CVD. Yang et al. in their study showed meeting a greater number of cardiovascular health metrics was associated with a lower risk of total and CVD mortality, but the prevalence of meeting all 7 cardiovascular health metrics was low in the study population. Prevalence of smoking was higher in RA and was associated with increased severity of RA. Wolfe F  showed Quantitative relationships exist between smoking extent and RF positivity, RF concentration, nodule formation, radiographic progression, and pulmonary disease. These 3 latter effects are independent of RF positivity or concentration. Smoking does not contribute to alterations in disease activity measures, but appears to play a role in overall severity of disease. RA patients are significantly less active than controls and so have the worse lipid profile . Exercise interventions improve functional status in RA and greatly benefit CV risk. van den Berg et al. recommended more than half of the health care providers expressed a need for further education on the promotion of physical activity. Further research should focus on the best way to train health professionals in the promotion of physical activity in patients with RA. FRS -Higher FRS associated with higher CVS risk in RA . Chung et al. concluded a higher Framingham score was associated with a higher calcium score (odds ratio [OR] = 1.20, 95% confidence interval [CI] 1.12 to 1.29, P<0.001), and the association remained significant after adjustment for age and gender (OR=1.15, 95% CI 1.02 to 1.29, P=0.03). A higher Framingham risk score is independently associated with the presence of coronary calcification in patients with RA (Figure 1 and Table 1) [88-90]. Table 1: Comparison of predicted 10-year risk of CVD disease for hypothetical patient based on the FRS, RRS and the SCORE [89,90]. FRS and SCORE include only traditional CV risk factors, not inflammatory markers thus they underestimate CV risk in RA. Traditional risk factors and inflammation both play role in cardiovascular risk [1-3]. RRS incorporates inflammation into the score but still a poor estimator for CV risk; since it was calibrated using mean hs CRP 2.0 mg/l which is below of the average RA patient .CRP levels change in RA during disease flares and treatment phases. EULAR recommends a multiplier of 1.5 for FRS or SCORE if a patient has 2 or more of the following: RA disease duration >10 years, RF, ANTI CCP, extra articular manifestations. This review highlighted the importance of inflammatory burden as the key driver in pathogenesis of CVD and hence a key CVD risk factor. Hence, this emphasizes the EULAR recommendation of adequate disease control in order to lower CV risk . Therefore, effective CV risk management should include treatment of conventional risk factors and tight control of disease activity. The potent suppression of inflammation with biologic therapies in RA results in favourable profile and adequate control of CVD risk. Thus, the key recommendation for treatment of RA patients is early aggressive treatment of RA with disease remission and low disease activity as the clinical goal. Lipid profiles should be monitored and reassessed and treated with lipid lowering drugs accordingly. Carotid plaque complications are related to RA disease activity. Ultrasonography assessment of cIMT is useful tool to stratify RA patients with CV risk. Hence, carotid ultrasonography may thus be useful in CV risk assessment to enhance the identification of RA patients with increased CV risk. The aim of our review was to discuss and analyse role of traditional risk factors, inflammation, DMARDs on Cardiovascular risk in RA patients. We reviewed findings of all previous studies and collected all evidences to support the role of traditional risk factors, inflammation, DMARDs on Cardiovascular risk in RA patients. Finally, our review also stressed on accurate estimating of CV risk which will help in primary and secondary prevention of CVD in RA patients. The CVD risk in RA is related to the systemic inflammation associated with RA as well as to traditional risk factors. Early treatment of RA suppresses inflammation significantly and has favourable effect on the lipid profile. Our conclusion is tight and sustained disease control lowers CV risk and also we recommend screening all probable risk factors of cardiovascular diseases. A multidisciplinary case management approach to CVS risk reduction is warranted. A collaborative approach between PCP and Rheumatologist will help to design a comprehensive management plan for improved outcomes in RA patients. Such approach will reduce cardiovascular morbidity and mortality both primary prevention with behavioural and environmental modifications should be emphasized. Aggressive lipid-lowering therapy in patients with RA and cardiovascular diseases will improve cardiovascular morbidity and mortality rates and alleviate symptoms . In addition, statin therapy has been shown to reduce the incidence of stroke in patients when lipid levels were reduced. Ideal blood lipid levels can be accomplished only by adherence to lifestyle and pharmacological regimens. Adherence in the collaborative approach to the management of abnormal blood lipids will have a more profound impact on the reduction of cardiovascular and cerebrovascular morbidity and mortality. All diagnosed RA cases should be screened for all probable risk factors at their first visit. Adequate management of RA patients with consideration all screened CVD risk factors. In RA patient’s inflammation interplays with traditional risk factors and affects the lipid profile in RA patients. Early suppression of inflammation through control of disease activity modulates the clinical outcomes. All RA patients should be screened for all CVD risk factors at their first visit. How inflammation modifies traditional risk factors in RA. More studies are required to show prevalence of traditional CV risk factors comparing to the general population. Del Rincon ID, Williams K, Stern MP, Freeman GL, Escalante A (2001) High incidence of cardiovascular events in a rheumatoid arthritis cohort not explained by traditional cardiac risk factors. Arthritis Rheum44:273745. Solomon DH, Kremer J, Curtis JR (2010) Explaining the cardiovascular risk associated with rheumatoid arthritis: traditional risk factors versus markers of rheumatoid arthritis severity. Ann Rheum Dis 69: 19205. Gonzalez A, Maradit KH, Crowson CS (2008) Do cardiovascular risk factors confer the same risk for cardiovascular outcomes in rheumatoid arthritis patients as in non-rheumatoid arthritis patients? Ann Rheum Dis 67:649.
van Halm VP, Nielen MM, Nurmohamed MT (2007) Lipids and inflammation: serial measurements of the lipid profile of blood donors who later developed rheumatoid arthritis. Ann Rheum Dis66:1848. Pollono EN, Lopez-Olivo MA, Lopez JA, Suarez ME (2010) A systematic review of the effect of TNF-alpha antagonists on lipid profiles in patients with rheumatoid arthritis. ClinRheumatol29:94755. Westlake SL, Colebatch AN, Baird J(2010) The effect of methotrexate on cardiovascular disease in patients with rheumatoid arthritis: a systematic literature review. Rheumatology49:295307. Choi HK, Seeger JD (2005) Lipid profiles among US elderly with untreated rheumatoid arthritis—the Third National Health and Nutrition Examination Survey. J Rheumatol32:23116. McCarey DW, McInnes IB, Madhok R (2004) Trial of Atorvastatin in Rheumatoid Arthritis (TARA): double-blind,randomised placebo-controlled trial. Lancet363: 201521. Chung CP, Oeser A, Solus JF (2008) Inflammation-associated insulin resistance: differential effects in rheumatoid arthritis and systemic lupus erythematosus define potential mechanisms. Arthritis Rheum 58:210512. Dessein PH, Joffe BI (2006) Insulin resistance and impaired beta cell function in rheumatoid arthritis. Arthritis Rheum54:276575. Kiortsis DN, Mavridis AK,Vasakos S, Nikas SN, Drosos AA (2005) Effects of infliximab treatment on insulin resistance in patients with rheumatoid arthritis and ankylosing spondylitis. Ann Rheum Dis64:7656. Rosenvinge A, Krogh-Madsen R, Baslund B, Pedersen BK (2007) Insulin resistance in patients with rheumatoid arthritis: effect of anti-TNFalpha therapy. Scand J Rheumatol36:916. Schultz O, Oberhauser F, Saech J (2010) Effects of inhibition of interleukin-6 signalling on insulin sensitivity and lipoprotein (a) levels in human subjects with rheumatoid diseases. PloS one 5: 14328. Wasko MC, Hubert HB, Lingala VB (2007) Hydroxychloroquine and risk of diabetes in patients with rheumatoid arthritis. JAMA298:18793.
WHO (2012) BMI classification Global Database on Body Mass Index. Stavropoulos KA, Metsios GS, Koutedakis Y (2007) Redefining overweight and obesity in rheumatoid arthritis patients. Ann Rheum Dis66:131621. 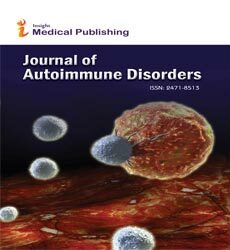 Giles JT, Allison M, Blumenthal RS (2005) Abdominal adiposity in rheumatoid arthritis: association with cardio metabolic risk factors and disease characteristics. Arthritis Rheum 62:317382. Panagiotakos DB, Pitsavos C, Yannakoulia M, Chrysohoou C, Stefanadis C (2005) The implication of obesity and central fat on markers of chronic inflammation: The ATTICA study. Atherosclerosis183:30815. McGuire TR, Brusnahan SK, Bilek LD (2011) Inflammation associated with obesity: relationship with blood and bone marrow endothelial cells. Obesity19:21306. Wisse BE(2004)The inflammatory syndrome: the role of adipose tissue cytokines in metabolic disorders linked to obesity. J Am SocNephrol15:2792800. Visser M, Bouter LM, McQuillan GM, Wener MH, Harris TB (1999) Elevated C-reactive protein levels in overweight and obese adults. JAMA 282:21315. Ridker PM, Buring JE, Rifai N, Cook NR (2007) Development and validation of improved algorithms for the assessment of global cardiovascular risk in women: the Reynolds Risk Score. JAMA297:6119. Giles JT, Bartlett SJ, Andersen R, Thompson RM,Fontaine KR (2008) Association of body fat with C-reactive protein in rheumatoid arthritis. Arthritis Rheum58:263241. Giles JT, Allison M, Blumenthal RS, Post W, Gelber AC, et al. (2010) Abdominal adiposity in rheumatoid arthritis: association with cardiometabolic risk factors and disease characteristics. Arthritis Rheum62:317382. McEntegart A, Capell HA,Creran D, Rumley A, Woodward M, et al. (2001) Cardiovascular risk factors, including thrombotic variables in a population with rheumatoid arthritis. Rheumatology 40:6404. Maki-Petaja KM, Hall FC, Booth AD, Wallace SM, Yasmin, et al. (2006) Rheumatoid arthritis is associated with increased aortic pulse-wave velocity, which is reduced by anti-tumor necrosis factor-alpha therapy. Circulation 114:118592. Aw TJ, Haas SJ, Liew D, Krum H(2005) Meta-analysis of cyclooxygenase-2 inhibitors and their effects on blood pressure. Arch Intern Med165:4906. Mazzantini M, Talarico R, Doveri M, Consensi A, Cazzato M (2010) Incident comorbidity among patients with rheumatoid arthritis treated or not with low-dose glucocorticoids: a retrospective study. J Rheumatol 37:22326. Costenbader KH, Feskanich D, Mandl LA, Karlson EW (2006) Smoking intensity, duration, and cessation, and the risk of rheumatoid arthritis in women. Am J Med 119:503. Yang Q,Cogswell ME, Flanders WD, Hong Y, Zhang Z (2012) Trends in cardiovascular health metrics and associations with all-cause and CVD mortality among US adults. JAMA 307: 127383. Solomon DH, Karlson EW, RimmEB, Cannuscio CC, Mandl LA(2003) Cardiovascular morbidity and mortality in women diagnosed with rheumatoid arthritis. Circulation 107:13037. Albano SA, Santana-Sahagun E, Weisman MH (2001) Cigarette smoking and rheumatoid arthritis. Semin Arthritis Rheum31:14659. Wolfe F (2000)The effect of smoking on clinical, laboratory, and radiographic status in rheumatoid arthritis. J Rheumatol27:6307.
van den Berg MH, de Boer IG, le Cessie S, Breedveld FC, VlietVlieland TP (2007) Are patients with rheumatoid arthritis less physically active than the general population? J ClinRheumatol13:1816. Metsios GS, Stavropoulos-Kalinoglou A, Panoulas VF, Wilson M, Nevill AM (2009) Association of physical inactivity with increased cardiovascular risk in patients with rheumatoid arthritis. Eur J CardiovascPrevRehabil16: 18894. Chung CP, Oeser A, Avalos I , Tebeb G, Ayumi S (2006) Utility of the Framingham risk score to predict the presence of coronary atherosclerosis in patients with rheumatoid arthritis. Arthritis Res Ther8:186. Peters MJ, Symmons DP, McCarey D, Dijkmans BA, Nicola P, et al. (2010)EULAR evidence-based recommendations for cardiovascular risk management in patients with rheumatoid arthritis and other forms of inflammatory arthritis. Ann Rheum Dis 69:32531. Meune C, Touze E, Trinquart L, Allanore Y (2009) Trends in cardiovascular mortality in patients with rheumatoid arthritis over 50 years: a systematic review and meta-analysis of cohort studies. Rheumatology 48:130913. Avina-Zubieta JA, Choi HK, Sadatsafavi M, Etminan M, Esdaile JM, et al. (2008)Risk of cardiovascular mortality in patients with rheumatoid arthritis: a meta-analysis of observational studies. Arthritis Rheum 59:16907. Solomon DH, Karlson EW, Rimm EB, Cannuscio CC, Mandl LA, et al. (2003)Cardiovascular morbidity and mortality in women diagnosed with rheumatoid arthritis. Circulation 107:13037.
de Groot L, Posthumus MD, Kallenberg CG, Bijl M (2010) Risk factors and early detection of atherosclerosis in rheumatoid arthritis. Eur J Clin Invest40:83542. Gullick NJ, Scott DL (2011) Co-morbidities in established rheumatoid arthritis. Best Pract Res Clin Rheumatol 25:46983. Meune C, Touze E, Trinquart L, Allanore Y (2010) High risk of clinical cardiovascular events in rheumatoid arthritis: levels of associations of myocardial infarction and stroke through a systematic review and meta-analysis. Arch Cardiovasc Dis103: 25361. Gremese E, Ferraccioli G (2011) The metabolic syndrome: the crossroads between rheumatoid arthritis and cardiovascular risk. Autoimmun Rev10:5829. Gabriel SE (2008) Cardiovascular morbidity and mortality in rheumatoid arthritis. Am J Med 121: 914. Semb AG, Kvien TK, Aastveit AH,Jungner I, Pedersen TR, et al. (2010)Lipids, myocardial infarction and ischaemic stroke in patients with rheumatoid arthritis in the Apolipoprotein-related Mortality RISk (AMORIS) Study. Ann Rheum Dis 69: 19962001. Peters MJ, van Halm VP, Voskuyl AE, Smulders YM, Boers M, et al. (2009)Does rheumatoid arthritis equal diabetes mellitus as an independent risk factor for cardiovascular disease? A prospective study. Arthritis Rheum 61:15719. Lindhardsen J, Ahlehoff O, Gislason GH, Madsen OR, Olesen JB, et al. (2011)The risk of myocardial infarction in rheumatoid arthritis and diabetes mellitus: a Danish nationwide cohort study. Ann Rheum Dis 70:92934. Dessein PH, Joffe BI, Veller MG, Stevens BA, Tobias M, et al. (2005)Traditional and nontraditional cardiovascular risk factors are associated with atherosclerosis in rheumatoid arthritis. J Rheumatol32:43542. Boyer JF, Gourraud PA, Cantagrel A, Davignon JL, Constantin A(2011)Traditional cardiovascular risk factors in rheumatoid arthritis: a meta-analysis. Joint Bone Spine78:17983. Ku IA, Imboden JB, Hsue PY, Ganz P (2009) Rheumatoid arthritis: model of systemic inflammation driving atherosclerosis. Circ J73:97785. National Cholesterol Education Program (NCEP) Expert Panel on Detection, Evaluation, and Treatment of High Blood Cholesterol in Adults (Adult Treatment Panel III) (2002) Third Report of the National Cholesterol Education Program (NCEP) Expert Panel on Detection, Evaluation, and Treatment of High Blood Cholesterol in Adults (Adult Treatment Panel III) final report. Circulation106:3143421. Myasoedova E, Crowson CS, Kremers HM, Roger VL, Fitz-Gibbon PD, et al. (2011)Lipid paradox in rheumatoid arthritis: the impact of serum lipid measures and systemic inflammation on the risk of cardiovascular disease. Ann Rheum Dis 70:4827. Steiner G, Urowitz MB (2009) Lipid profiles in patients with rheumatoid arthritis: mechanisms and the impact of treatment. Semin Arthritis Rheum38: 37281. Peters MJ, Vis M, van Halm VP, Wolbink GJ, Voskuyl AE, et al. (2007) Changes in lipid profile during infliximab and corticosteroid treatment in rheumatoid arthritis. Ann Rheum Dis 66:95861. Schimmel EK, Yazici Y (2009) Increased lipid levels but unchanged atherogenic index in rheumatoid arthritis patients treated with biological disease modifying antirheumatic drugs: published experience. ClinExpRheumatol 27:44651. Crowson CS, Gabriel SE (2011) Towards improving cardiovascular risk management in patients with rheumatoid arthritis: the need for accurate risk assessment. Ann Rheum Dis70:71921. Dessein PH, Semb AG (2013) Could cardiovascular disease risk stratification and management in rheumatoid arthritis be enhanced? Ann Rheum Dis72:17436. Arts EE, Popa C, Den Broeder AA, Semb AG, T Toms (2014) Performance of four current risk algorithms in predicting cardiovascular events in patients with early rheumatoid arthritis. Ann Rheum Dis. 29: 210512. Choy E, Sattar N (2009) Interpreting lipid levels in the context of high-grade inflammatory states with a focus on rheumatoid arthritis: a challenge to conventional cardiovascular risk actions. Ann Rheum Dis68: 4609.
van Halm VP, Nurmohamed MT, Twisk JW, Dijkmans BA, Voskuyl AE (2006) Disease-modifying antirheumatic drugs are associated with a reduced risk for cardiovascular disease in patients with rheumatoid arthritis: a case control study. Arthritis Res Ther8:151. Dixon WG, Watson KD, Lunt M, Hyrich K (2007)Reduction in the incidence of myocardial infarction in patients with rheumatoid arthritis who respond to anti-tumor necrosis factor alpha therapy: results from the British Society for Rheumatology Biologics Register. Arthritis Rheum 56:290512. Greenberg JD, Kremer JM, Curtis JR, Hochberg MC, Reed G, et al. (2011). Tumour necrosis factor antagonist use and associated risk reduction of cardiovascular events among patients with rheumatoid arthritis. Ann Rheum Dis70:57682. Popa C, Netea MG, Radstake T, Van der Meer JW, Stalenhoef AF, (2005)Influence of antitumour necrosis factor therapy on cardiovascular risk factors in patients with active rheumatoid arthritis. Ann Rheum Dis64:3035. Corrales A, Gonzalez-Juanatey C, Peiro ME, Blanco R, Llorca J, et al. (2014)Carotid ultrasound is useful for the cardiovascular risk stratification of patients with rheumatoid arthritis: results of a population-based study. Ann Rheum Dis 73: 7227. Jellinger PS, Smith DA, Mehta AE(2012) American association of clinical endocrinologists guidelines for management of dyslipidaemia and prevention of atherosclerosis. EndocrPract 18: 78. Libby P, Ridker PM, Hansson, Rodbard HW, Shepherd MD, et al. GK (2011) Progress and challenges in translating the biology of atherosclerosis. Nature473:31725. Hansson GK, Hermansson A (2011) The immune system in atherosclerosis. Nat Immunol12:20412. Danesh J, Kaptoge S, Mann AG, Nadeem S, Angela W, et al. (2008) Long-term interleukin-6 levels and subsequent risk of coronary heart disease: two new prospective studies and a systematic review. PLoS Med 5: 78. Kaptoge S, Di Angelantonio E, Lowe G, Collins R, Danesh J, et al. (2010) C-reactive protein concentration and risk of coronary heart disease, stroke, and mortality: an individual participant meta-analysis. Lancet 375:13240. Danesh J, Lewington S, Thompson SG, Lowe GD, Collins R, et al. (2005)Plasma fibrinogen level and the risk of major cardiovascular diseases and nonvascular mortality: an individual participant meta-analysis. JAMA 294:1799809. Libby P(2008) Role of inflammation in atherosclerosis associated with rheumatoid arthritis. Am J Med 121: 2131. Innala L, Moller B, Ljung L, Staffan Magnusson, TorgnySmedby, et al. (2011)Cardiovascular events in early RA are a result of inflammatory burden and traditional risk factors: a five year prospective study. Arthritis Res Ther13:R131. Book C, Saxne T, Jacobsson LT (2005) Prediction of mortality in rheumatoid arthritis based on disease activity markers. J Rheumatol32:4304. Crilly MA, Kumar V, Clark HJ, Scott NW, Macdonald AG,et al. (2009)Arterial stiffness and cumulative inflammatory burden in rheumatoid arthritis: a dose-response relationship independent of established cardiovascular risk factors. Rheumatology48: 160612. Graf J, Scherzer R, Grunfeld C, Imboden J (2009) Levels of C-reactive protein associated with high and very high cardiovascular risk are prevalent in patients with rheumatoid arthritis. PLoS One 4: 6242.
del Rincon I, Freeman GL, Haas RW, O’Leary DH, Escalante A (2005) Relative contribution of cardiovascular risk factors and rheumatoid arthritis clinical manifestations to atherosclerosis. Arthritis Rheum52:341323. Gonzalez-Gay MA, Gonzalez-Juanatey C, Pineiro, Garcia-Porrua C, Testa A, et al. (2005) High-grade C-reactive protein elevation correlates with accelerated atherogenesis in patients with rheumatoid arthritis. J Rheumatol32:121923. Maradit-Kremers H, Nicola PJ, Crowson CS, Ballman KV, Gabriel SE (2005) Cardiovascular death in rheumatoid arthritis: a population-based study. Arthritis Rheum 52:72232. Wallberg-Jonsson S, Johansson H,Ohman ML, Rantapaa-Dahlqvist S (1999) Extent of inflammation predicts cardiovascular disease and overall mortality in seropositive rheumatoid arthritis. A retrospective cohort study from disease onset. J Rheumatol26:256271. Miller AM, McInnes IB (2011) Cytokines as therapeutic targets to reduce cardiovascular risk in chronic inflammation. Curr Pharm De 17:18. Cesari M, Penninx BW, Newman AB, Kritchevsky SB, Nicklas BJ, et al. (2003)Inflammatory markers and cardiovascular disease (The Health, Aging and Body Composition [Health ABC] Study). Am J Cardiol92:5228. Waehre T, Yndestad A, Smith C, Haug T, Tunheim SH, et al. (2004) Increased expression of interleukin-1 in coronary artery disease with downregulatory effects of HMG-CoA reductase inhibitors. Circulation 109:196672. Biasucci LM, Liuzzo G, Fantuzzi G, Caligiuri G, Rebuzzi AG, et al. (1999)Increasing levels of interleukin (IL)-1Ra and IL-6 during the first 2 days of hospitalization in unstable angina are associated with increased risk of in-hospital coronary events. Circulation 99:207984. Singh U, Dasu MR, Yancey PG, Afify A, Devaraj, et al. (2008) Human C-reactive protein promotes oxidized low density lipoprotein uptake and matrix metalloproteinase-9 release in Wistar rats. J Lipid Res 49:101523. Watanabe J, Charles-Schoeman C, Miao Y, David Elashoff, Yuen YL, et al. (2012)Proteomic profiling following immunoaffinity capture of high-density lipoprotein: association of acute-phase proteins and complement factors with proinflammatoryhighdensity lipoprotein in rheumatoid arthritis. Arthritis Rheum 64:182837. Aziz M,Yadav KS (2016) Pathogenesis of Atherosclerosis: A review.Med Clin Rev 2: 31. D’Agostino RB Sr, Grundy S, Sullivan LM, Wilson P (2001) Validation of the Framingham coronary heart disease prediction scores: results of a multiple ethnic groups investigation.JAMA286. Ridker PM, Buring JE, Rifai N, Cook NR (2007) Development and validation of improved algorithms for the assessment of global cardiovascular risk in women: the Reynolds Risk Score. JAMA297.